WWC Halle Berry Palythoas are a show stopper. 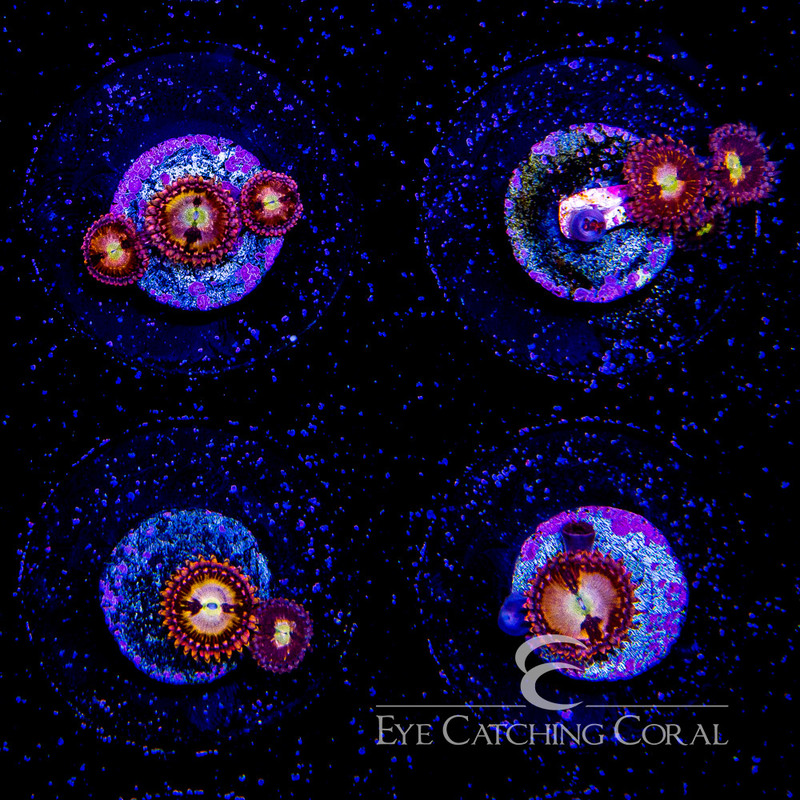 They have very bright pink skirt and golden centers that have a random black markings. Once these settle in they are a very quick grower. 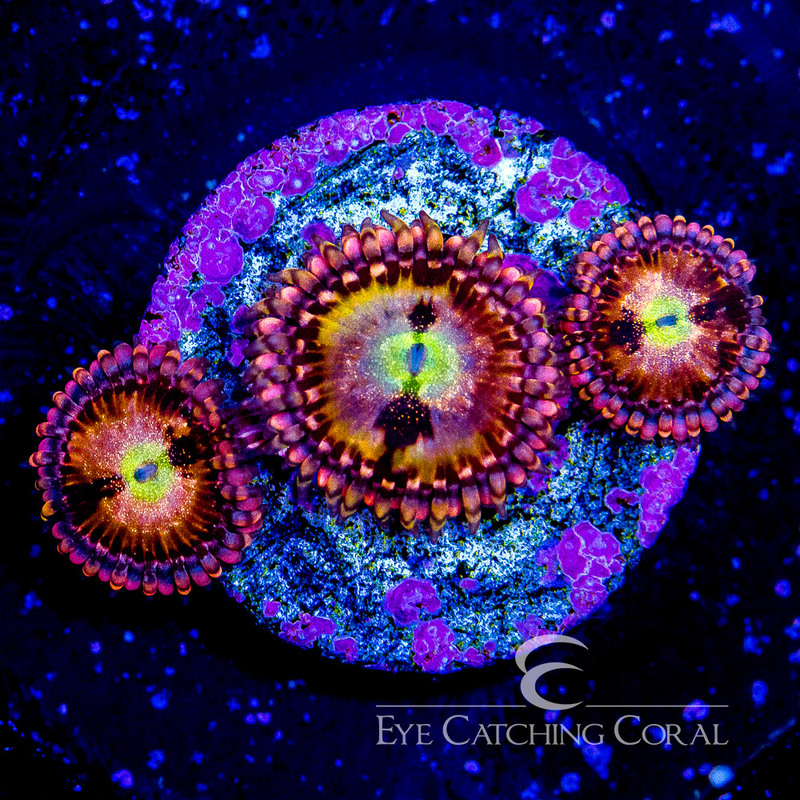 We got this palythoa at Reef a Palooza in 2018.